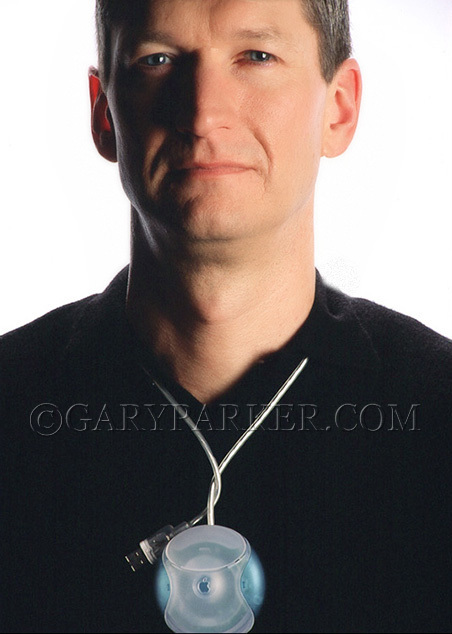 Gary Parker has been privileged to work with some of the world’s most brilliant technology, business and scientific minds. 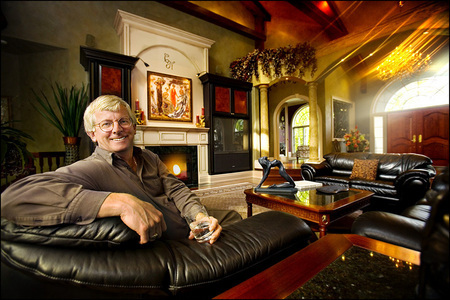 Gifted at photographing extraordinary individuals in circumstances where time, temperament, technical issues or access present a challenge, Gary creates compelling portraits and lifestyle images for corporate collateral and executive press release projects, including images specifically created for likely magazine or general national media publication. Steve Jobs with wife Laurene, the day the original multi-colored iMac was released on 8.15.98. After Steve's worldwide satellite feed at a large venue near Apple, Laurene approached for this intimate moment. The iMac changed Apple's fortunes and became the world's best selling computer. 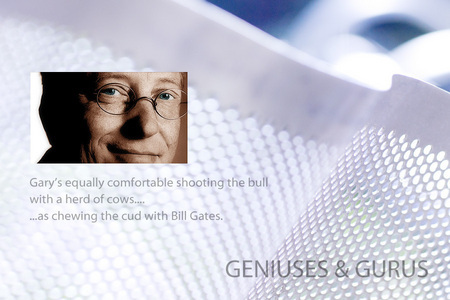 Bill Gates, Microsoft Founder, Technology Icon/Philanthropist. 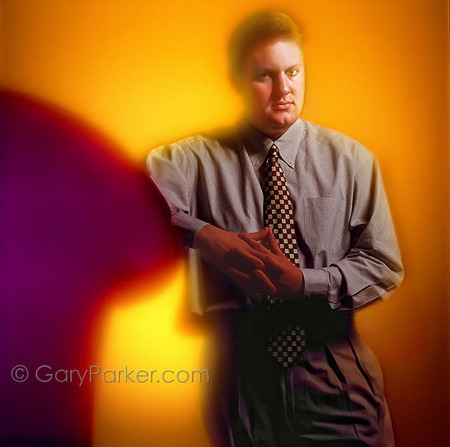 When photographing billionaires it's interesting seeing how they treat a lowly photographer. Bill is nice but once gave me only 73 seconds to do a cover shoot?! Yikes!!! 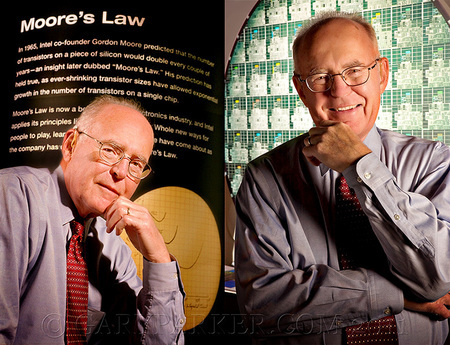 Intel Co-Founder Gordon Moore - currently Chairman Emeritus - Author of "Moore's Law" & creator of the Integrated Circuit. 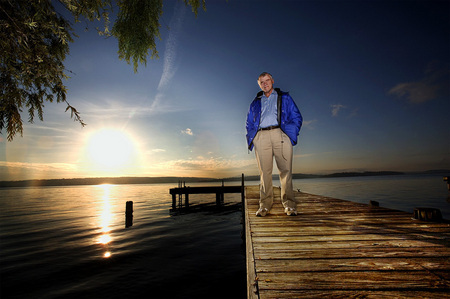 When asked what he enjoys when not being a technology icon and philanthropist, Gordon said, "I go fishing!" 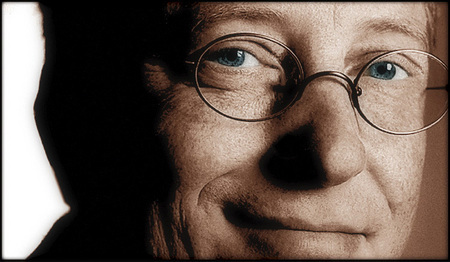 Tim Cook, Apple CEO, formerly Chief Operating Officer, arrived in '98, six months before the release of the iMac, the computer which lead Apple's meteoric climb to its current status as as one of the worlds most successful corporations. Jen-Hsun (Jensen) Huang, Co-founder, President and CEO of Nvidia, a Silicon Valley entrepreneur from Taiwan, is a multi-faceted executive known for his genius in the graphics processor field, as well as for his philanthropy. . Annual Report shoot for SAP, one of the worlds largest software companies. 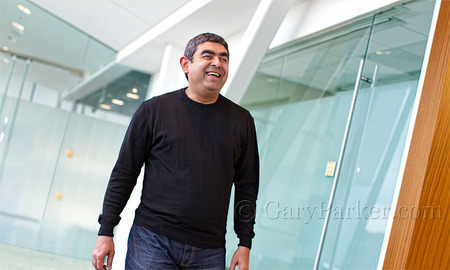 CTO Vishal Sikka is at the forefront of SAP's software infrastructure. 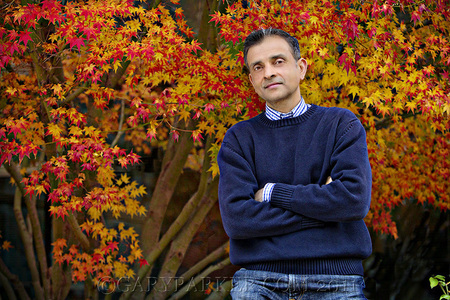 Vivek Ranadive, Chairman, CEO & Founder of TIBCO Software, best-selling author, an owner of the Golden State Warriors & one of the top technology innovators in the world. 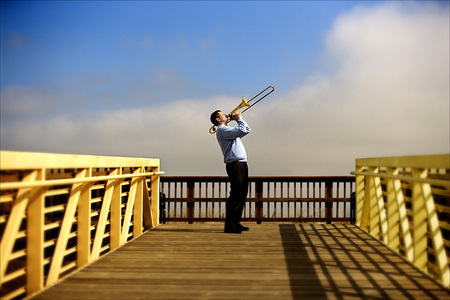 Vivek is an avid cyclist and sports enthusiast. 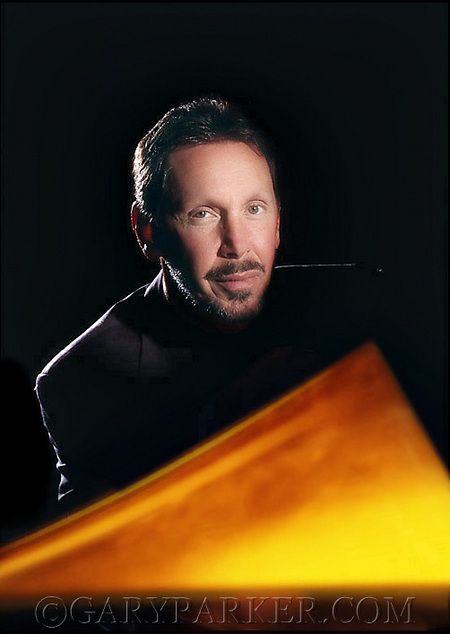 Getting in to create a magazine cover of Larry Ellison, CEO of Oracle Corporation & one of the wealthiest Americans, was a challenge. Larry has a reputation for being tough but was cordial on each occasion I photographed him. 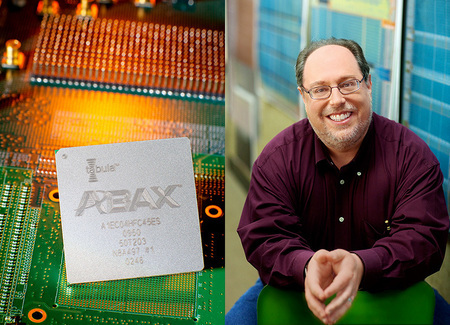 TJ Rodgers, Founder and CEO of Cypress Semiconductor, inventor of VMOS Technology, Silicon Valley tech icon. 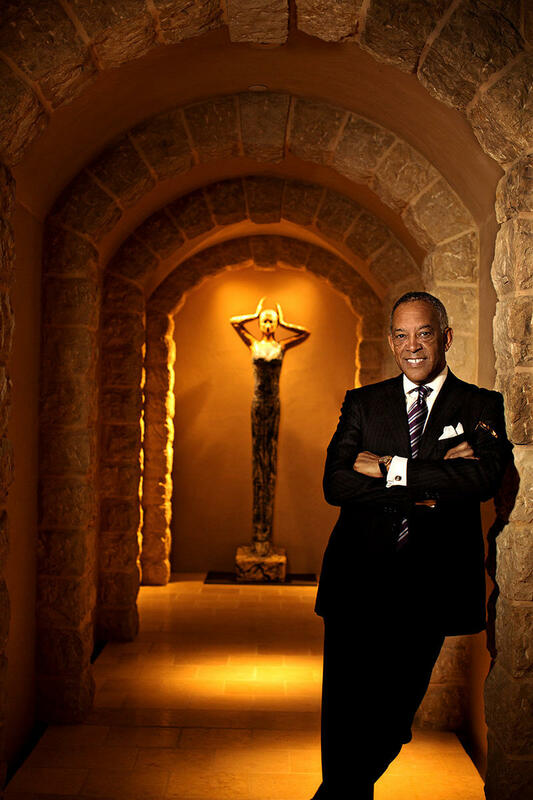 TJ Rodgers is renowned for his brilliance as a CEO, philanthropic generosity and direct personality. 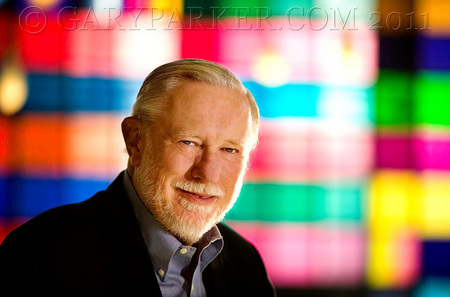 Dr. Stuart Parkin, IBM Research Center, is credited with advancements in hard drive technology leading to more than 1000-fold increase in hard disk drive data density. 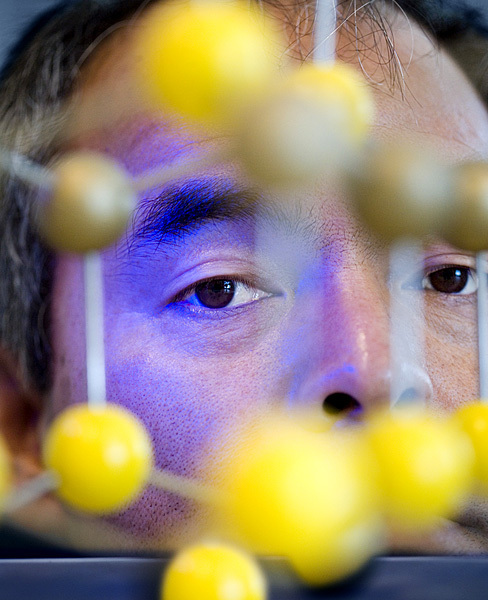 Dr Parkins current research could eventually replace hard drives. 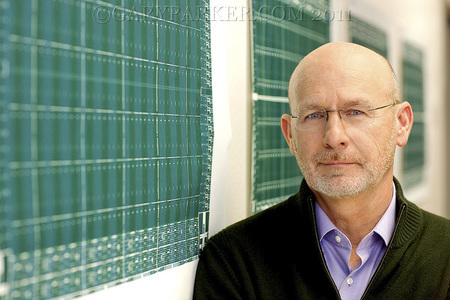 Dr. Stuart Parkin, IBM Research Center, is credited with advancements in hard drive technology, leading to more than 1000-fold increase in hard disk drive data density. Dr Parkins current research could eventually replace hard drives.